Whether you are a new pool owner trying to figure it all out or a veteran pool owner looking for some tips, we have you covered. Here you will find professional advice, how-to instructions, and everything you need to know about owning an above ground swimming pool. If you are new to pools, this is where it all begins. You want to know your way around the swimming pool? No problem. Starting with the design and structure and ending in basic pool water chemistry, we'll show you above ground swimming pools both inside and out. Having a clear and easy to follow maintenance program is critical. Factors such as environment, weather conditions, and how often the pool is used will all play a role in what you do and how often you do it. Crystal clear water doesn't happen on its own. You need to know how to test, adjust, and properly protect your pool from unsightly algae and bacteria. Every pool owner runs into cloudy water or algae from time to time. Learn how to troubleshoot and correct nearly any pool problem that comes your way! If you are considering the purchase of an above ground swimming pool, we recommend visiting your local pool dealer. Swimming pools generally put up with a lot of abuse, so having a support system is never a bad thing. Most pool stores can back up the products that they sell you with parts availability, warranty processing, and service. Having quality chemicals, parts available when you need them, and a place to go when you have a problem you can't solve is well worth the money. Visit your local above ground swimming pool dealer today! 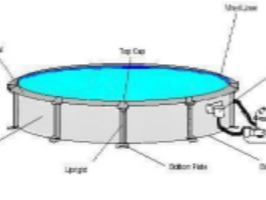 How pool filters work and the different types available. 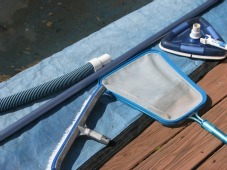 Basic guide to pool cleaners for above ground and in-ground pools. A list of additional maintenance suggestions that can help you improve your pool's performance. 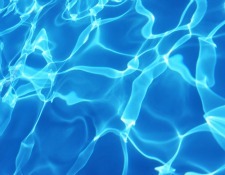 A glossary of pool chemicals commonly used in swimming pools. Learn how to perform your own pool water testing and what to do with the results. A pool owner's guide to Layers of Protection and swimming safety.